Now that you have completed 12 of the best local 4th class – 5.4 routes, you are ready for the next step! 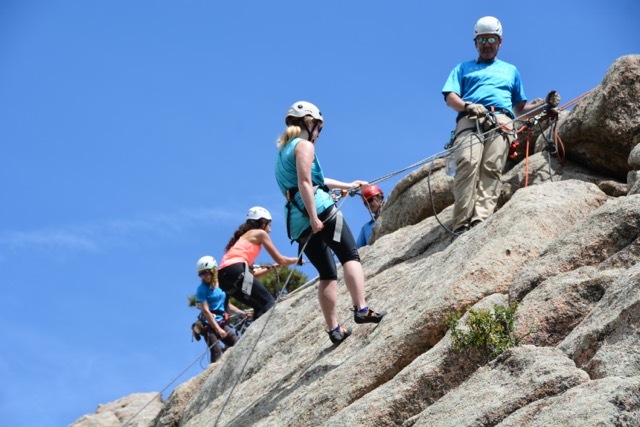 Here are some must do rock climbing routes in Eldorado Canyon State Park, Boulder Canyon, Boulder Flatirons and Lumpy Ridge in Rocky Mountain National Park) for beginner climbers wanting a little more challenge. With more that 5000 rock climbing routes within 1 hour of Boulder Colorado, prepare to spend the rest of your life completing them. Breaking down this accomplishment: If you climb 3 new routes a day for 300 days a year, you should be well on your way to climbing most of them in 5 and a half years. If you only get 1 route a day for 300 days a year, this will take you 16 ½ years to complete. Get out and explore the amazing rock climbing we have in our area!